It's never been easy to integrate SAP BusinessObjects and SAP BusinessWarehouse, but that's slowly beginning to change, says expert Ethan Jewett. Ever since it acquired BusinessObjects, SAP has supported both the BOBJ business intelligence (BI) platform and its own SAP NetWeaver Business Warehouse (BW) software. The two platforms overlap and complement each other in different ways. Given the similarities between the two products and the years SAP has had to integrate the two platforms, it's easy to assume that accessing data in BW from the BusinessObjects BI suite is straightforward. Unfortunately, that hasn't been the case to date. SAP BusinessObjects Business Intelligence is a suite of tools for reporting on, combining and visualizing data from different sources. It includes tools for transactional and analytic reporting, dashboarding and data exploration. It also includes tools for developing semantic models on top of source data and for accessing reports via mobile devices. SAP NetWeaver BW is an enterprise data warehousing platform that provides tools for extracting, modeling and aligning data sets. BW comes with its own set of reporting tools, but ever since the merger with BusinessObjects, SAP's reporting strategy has been centered on the BusinessObjects toolkit. With BusinessObjects 3.1 and BW 7.0, older versions of the BI platforms, gaining access to BW data from BusinessObjects required an add-on and used several different BW interfaces. This meant that a person modeling data in BusinessObjects had to pay attention to which BusinessObjects tool and BW interface they were using. For example, an Xcelsius (now known as Dashboard Design) dashboard and a Web Intelligence report that use the same BW data set might display different performance characteristics because they use different interfaces. Figure 1. The interface story as of BW 7.3. The primary external interfaces to BW are multidimensional expressions (MDX), Business Intelligence Consumer Services (BICS) and structured query language (SQL) interfaces. Third-party tools (as well as version 3.1 of BusinessObjects) primarily make use of the MDX interfaces. Meanwhile, BEx uses the private BICS interface. BusinessObjects 4.0 has begun using BICS for many new and existing applications. Interfaces are important from a performance as well as a functionality perspective. 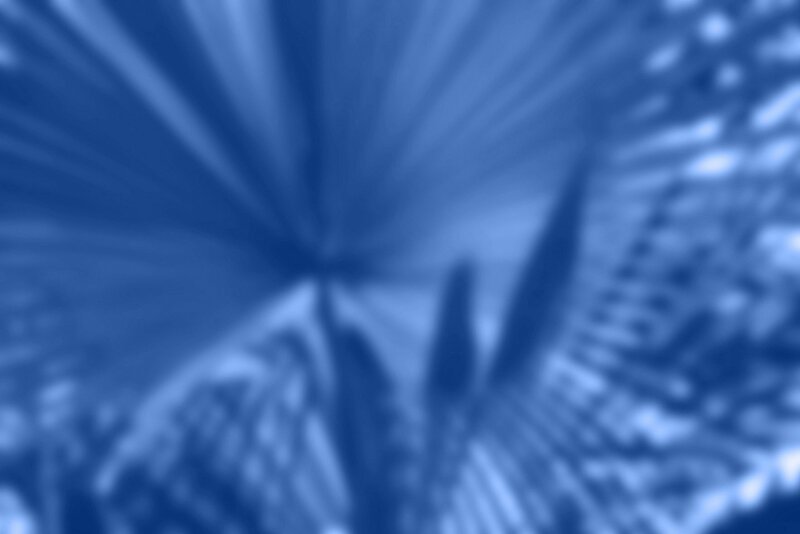 Multidimensional expressions(MDX) is a language for writing analytic queries on multidimensional databases. MDX on BW is not fast but works well for queries that return small amounts of data. However, MDX slows to a crawl or fails when the data set returned by a query grows large. This sort of larger dataset is exactly what BusinessObjects Universes and applications often require to support analytic calculations. In reaction to these performance issues, SAP developed a SQL interface add-on component, which delivers a much higher performance on large data sets but suffers from functional drawbacks such as lack of support for BW hierarchies or noncumulative key figures. This SQL interface is now used in universes that connect to BW. That scenario works (though not great, according to some) for relational universes, which are table-based in nature and therefore not so concerned with the BW features missing from the SQL interface. This isn't a good interface for applications, however, because applications benefit from many of the analytic features existing in the MDX interface that are missing from the SQL interface. With BW 7.3 and BusinessObjects 4.0, both of which became generally available in 2011, there was further improvement in the integration between the platforms. SQL-based access to BW data was included, so it no longer required an add-on. Further, BusinessObjects moved toward more consistent technical and user-facing interfaces to BW data. For BW-specific semantic concepts such as hierarchies and display attributes, the user interface took a more consistent approach across the BusinessObjects product line. These changes made viewing BW data in BusinessObjects reports easier, especially when switching among multiple BusinessObjects and BEx tools. The 4.0 release delivered multiple technical improvements with regard to BW, including optional integration of the BW transport system (called CTS+) as well as the BW report-to-report interface (RRI) for supporting links between queries. Most importantly, there was a move toward using BW's Business Intelligence Consumer Services (BICS) interface for making Business Explorer (BEx) queries directly from BusinessObjects applications. 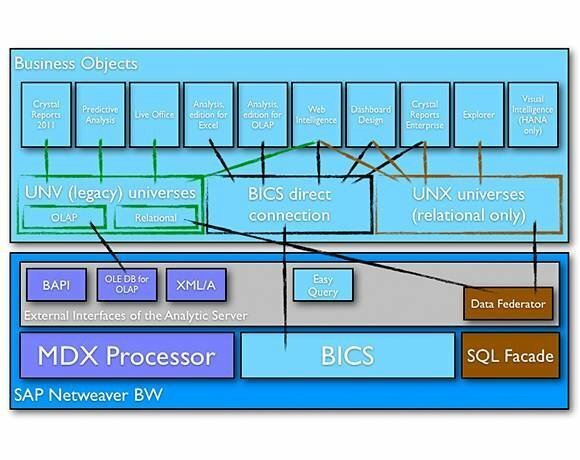 BICS replaced the performance-constrained MDX interface and allowed access to the BW OLAP features that aren't available in universes based on the SQL interface. BEx -- the native BW reporting tool -- has been using the BICS interface for some time. This interface was developed solely by SAP and is not available to third parties. BICS is designed specifically to support OLAP reporting applications like BEx, Dashboard Design, and Analysis for OLAP. These applications need to be able to transfer a lot of data from BW to the client, but they also need access to the OLAP functionality that BW provides, which includes hierarchies and noncumulative key figures. This requirement will become even more intense as newer tools such as SAP Predictive Analysis or SAP Visual Intelligence demand even larger amounts of data. The BICS interface goes a long way toward meeting these requirements. The recent Support Package 4 update of BusinessObjects BI 4.0 has moved further in the same direction for the individual BusinessObjects applications by introducing BW hierarchy display and prompts; support for new Universes (UNX); report-to-report interface; and BICS interface support in dashboards, analysis and Web Intelligence. Not all applications currently support all of these features, but the goal of a unified feature set is in sight. As BusinessObjects moves on to these updated user and technical interfaces more exclusively, many of the struggles that data modelers faced with these applications under the 3.1 version should fade. Figure 2. The current structure of BusinessObjects-BW integration. This illustrates the current types of connections available between BusinessObjects applications and BW on BusinessObjects 4.0 Support Pack 4. Most major applications have been moved to support UNX universes, BICS connections directly to BW or both. Legacy direct connections to BW and connections directly to BWA and HANA have been left off this chart for clarity. Still, there is a long way to go. 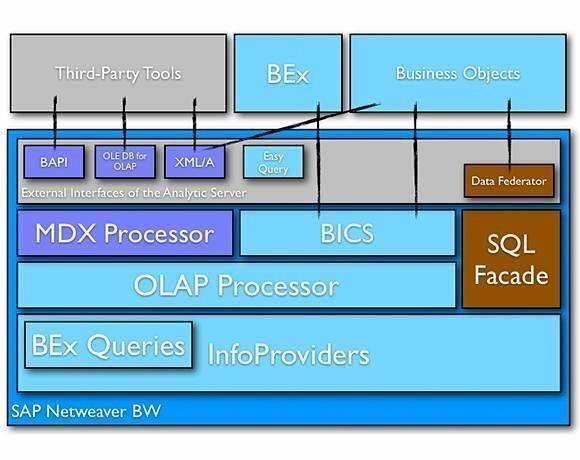 One of the larger pain points for integrating BW is that the only way to access BW's OLAP abilities efficiently is through direct connections from individual BusinessObjects applications. Universes in the new BI 4.0 semantic layer -- one of the most powerful concepts of BusinessObjects BI -- can only leverage a relational connection to BW. Modeling BW objects as relational universes is inherently confusing because this model doesn't correspond to BW's internal reporting model. Adding an option for a universe or semantic business layer based on BW InfoCubes or data store objects (DSO) and leveraging the BICS connection would be an improvement. SAP indicates that this capability is on the roadmap for a future release, so it is an area to watch. There are also questions around how third-party tools integrate with BW, as well as with HANA, SAP's in-memory database platform. Many customers believe that third-party BI tools currently outperform BusinessObjects in mobile and visualization capabilities. However, third-party tools are locked out of the BICS interface, which SAP guards as its own intellectual property. BW would be more attractive as an enterprise data warehouse if it supported an open, high-performance BI reporting interface. Unfortunately, the existing MDX-based interfaces don't fit the bill. Of course, it is hard to fault SAP for this situation, since an interface standard doesn't currently exist and creating an industry-wide standard would be an enormous task. Given that SAP has the experience to start the standards process, it would be nice to see SAP lead the charge. For now, it is good to see SAP moving in the right direction regarding BusinessObjects-BW integration. This situation, which was workable but difficult in the BusinessObjects 3.1 version, is now becoming more administrator- and user-friendly as behaviors align between BusinessObjects applications and as the performance of the interface improves across the suite due to the use of new, higher-performance connections. This area will be one to watch in future updates as SAP continues delivering improvements. I read that BICS uses calls to ABAP functions native to BEx queries to interface with NW BW. My question is how would BO uses BICS to interface with HANA.Do we have BICS component installed on HANA like BICS on BW NW Java App server?